This is a great location for all those buyers who want to be close to amenities. 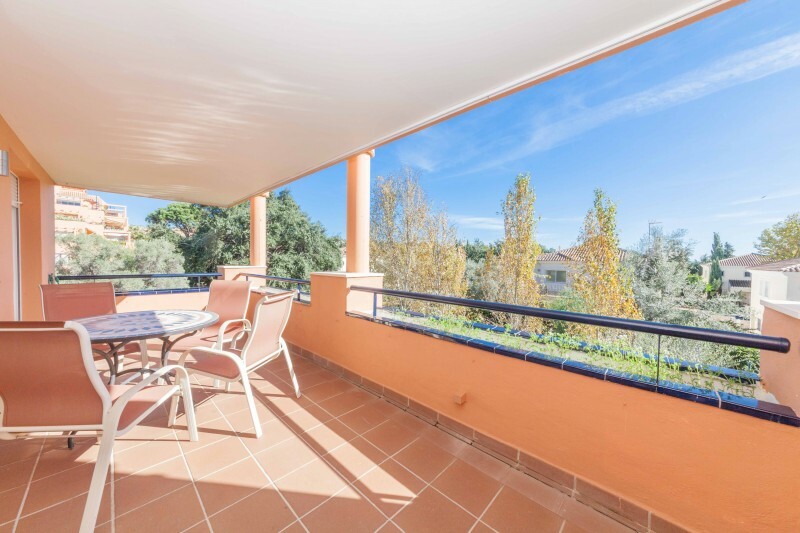 This 2 bedroom, 2 bathroom apartment located at Hacienda San Manuel, Elviria is located close to the local supermarkets and also within walking distance to the beaches and local restaurants etc. Within a couple of minutes in the car there are beach clubs (including Nikki Beach) and all the luxury amenities of Marbella together with more family orientated locations. 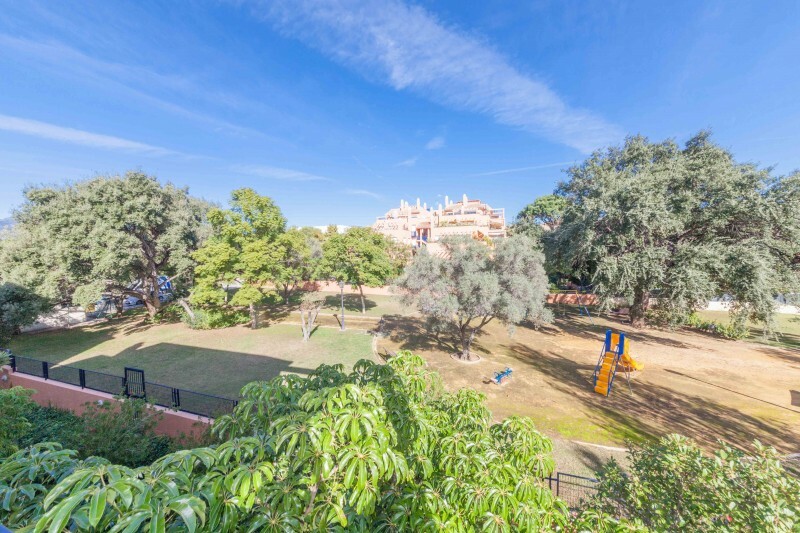 The community is gated and offers extensive facilities for children including gated playa areas and open spaces. There is of course a large co0mmunityy swimming pool. The apartment is located on the second floor with lift access up from the parking garage where 2 car parking paces and a store room are included in the sale. 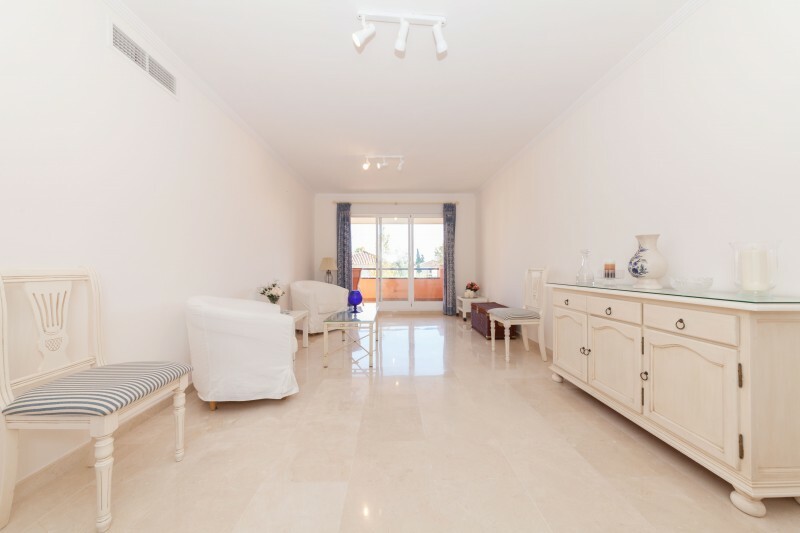 An entrance hallway leads to a bright and well proportioned lounge with dining area and there are patio areas out to a good sized corner terrace overlooking the gardens. The kitchen is fitted and includes all the major appliances, oven, hob, fridge/freezer, dishwasher and washing machine. The main bedroom has access out to the terrace and includes and en suite bathroom and the second bedroom has the use of the family bathroom. Hot and cold air conditioning is also fitted.